Vogue is a fashion magazine founded in 1902 in the United States. 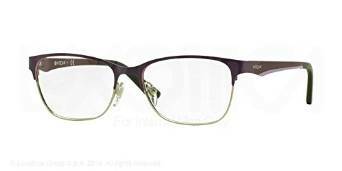 Vogue eyeglasses derives its name from the famous fashion magazine and it was established in 1973. 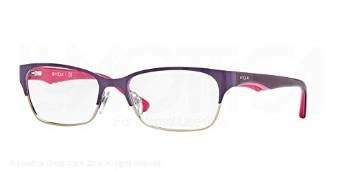 Just as the magazine is full of glitz and glamour so is the eyewear collection. The popularity of the designer eyewear collection was initially because of the popularity of the magazine. However, after its launch people got drawn to the brand designer eyeglasses like iron to a magnet. The success of the brand has been tremendous and of course the magazine continuously features the newer collections in each of their volumes. 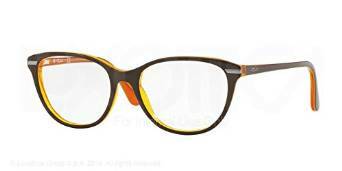 The collection of Vogue eyeglasses consists of some vibrant and colorful frames. They are highly feminine and offer a wide assortment of colors and shapes. The fashion sense of the brand is out of this world. If a woman imagines a color in her mind, sure enough it will be there in the collection. With lustrous shimmer of the frames and edgy good looks world famous designer eyeglasses creates a longing for the brand among women. Periwinkle blues and vivid lilacs are some of the most popular colors. The beautiful color palette has limitless variety which gives Vogue customers a lot of choice. 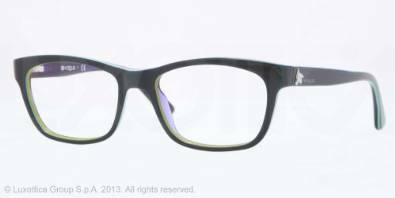 The optical collections have had several great stylish eyeglasses with some of them made in acetate and few in metallic frames. 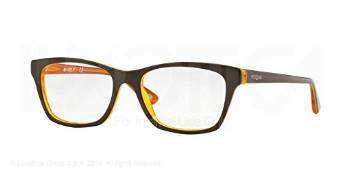 The ones made in acetate use some original color selection which gives a daring look to the eyes. The brand aims at transforming the face of their customers in a way that they look in-vogue. 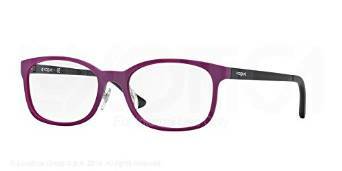 Below are some of the most well known of Vogue eyeglasses and often available at discount from eyeglasses stores when buying online. The Strass & Borchie theme took everyone by a storm. It was a rocking hit the moment it came to the stores. Swarovski crystals were used in them making them highly glittery and glamorous. The Vogue logo figures in all of the eyeglasses. The marble and ivory style on the inside of the frame with completely contrasting black outside was something that attracted everyone's attention to the theme. It became very popular among people. The shape of the collection was mostly square. These are now available only in plastic but are being made for both men and women. There are other themes such as the famous "Be Vogue" theme which are made in metal frames. 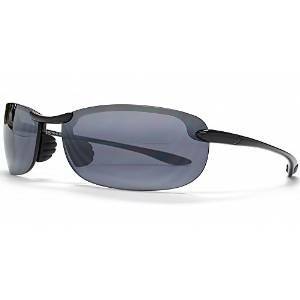 The arms of the eyeglasses are highly decorated and polished giving them a brilliant shine. 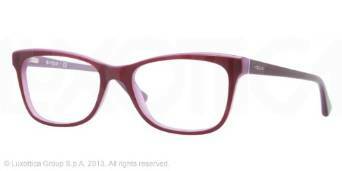 Women have gained the most out of the eyewear collection in terms of colors and various magnificent frames. The collection is quite showy as there are some shocking pinks, combinations of some vibrant colors and to top it all the fashion sense is an explosive one. The frames are low, narrow and long which makes the face look shapely. The brand seems to re - define fashion and make women discover new look to their faces with fresh new collections of Vogue eyewear each season. With shopping online becoming increasingly popular the competition between retailers has become intenses. 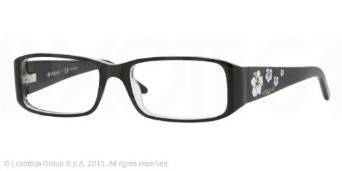 Buying eyeglasses online gives you many opportunities to buy cheap designer eyeglasses and sunglasses. 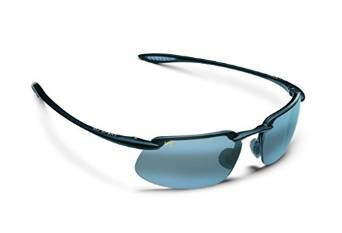 Youthfulness and passionate sense of style is the epitome of Vogue eyewear. 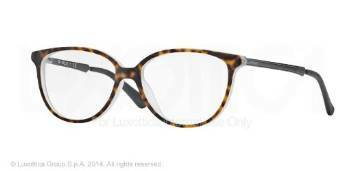 The eyeglasses are a comfortable fit and rouse a lot of curiosity just before the brand launches a new collection. Their innovative approach to their collections has redefined style for many years and they continue to do so.Online stores will also continue to compete for your custom, it's all win win for you.